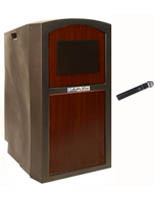 Set up the perfect platform for a public address to present to an audience, class mates or guests in the most fashionable and professional manner possible with this portable lectern with sound system. 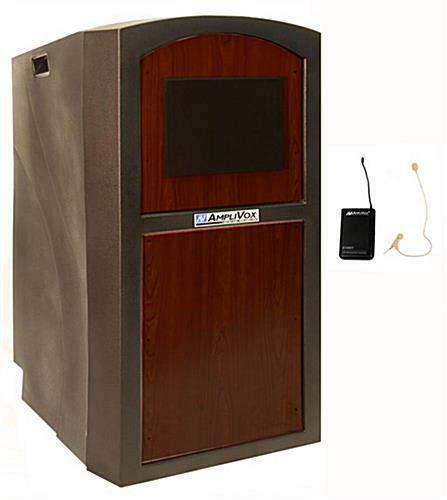 With its lapel mic featuring a built-in transmitter and 150 watt amplifier, this package gives you audio clarity like never before. 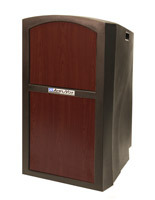 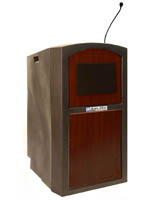 Comfortably utilize this amplified enhanced lectern in large halls as it is intended for an audience size of up to 1,950 people and a room up to 19,450 square feet. 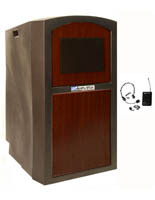 The rostrum also features a 25’ XLR audio cable to connect to the in-house loudspeaker. 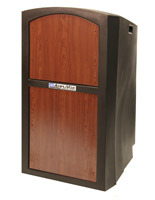 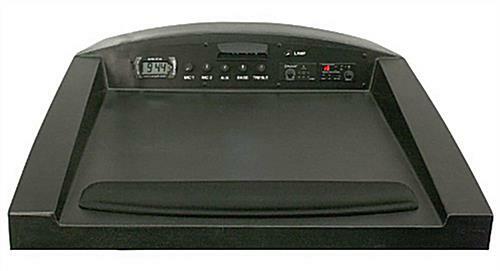 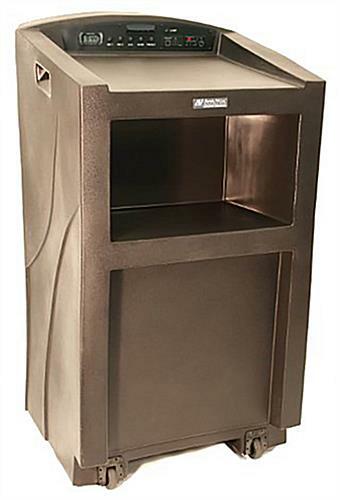 You might be thinking all of this equipment will break your back trying to move it, well not to worry, the 63 pound lectern has two built in casters and handles for easy portability. The lapel mic gives you the freedom to walk around and engage with your audience. 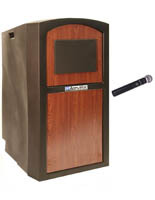 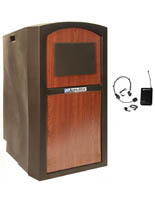 Make your next public address announcement at school, church, private organization or place of employment as professional as possible with this deluxe package.